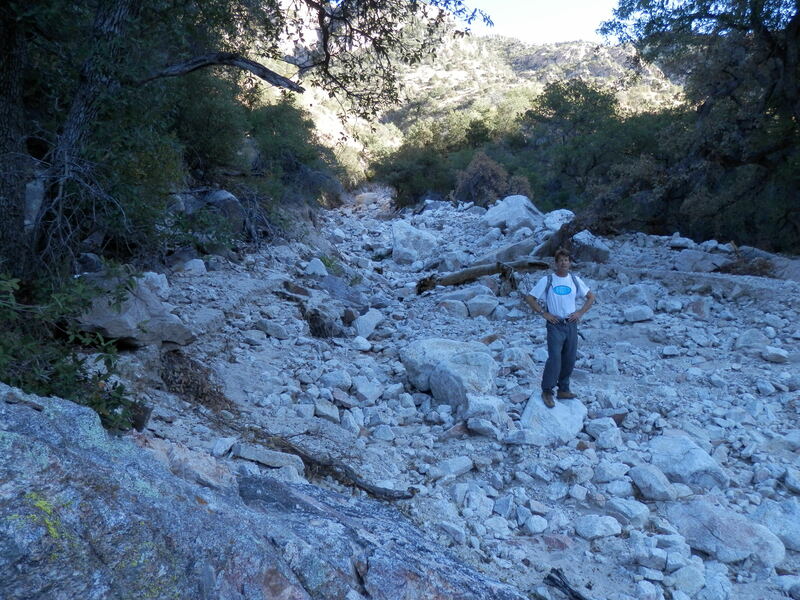 This is a wonderful 18-mile traverse of the Santa Catalinas. You can obviously do it in either direction, but I wanted to do it west-to-east, as this direction gives you more elevation gain. Since you start and finish at very different places, there are basically two ways to do the hike: you either car shuttle, or have people hike both ways and swap car keys when they pass. I did the hike with the Tucson Alt Hiking meetup group, and we did the key swap. 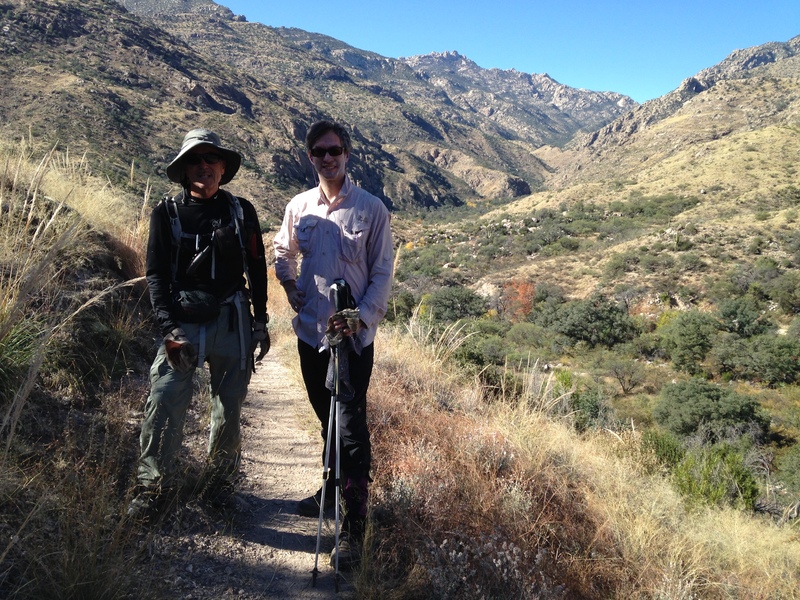 Start at Catalina State Park and hike up Romero Canyon, past the pools and up to Romero Pass. It’s a very pretty canyon, except for a short section where the whole canyon bottom has been washed out. After the long 7.2 mile climb to Romero Pass, it’s time for a long downhill. Follow West Fork eastwards and down for 6.8 beautiful miles, past Hutch’s Pool, to the turnoff for Sabino Canyon. After the Sabino Canyon turnoff, the trail continues up East Fork, climbing again for 2 miles until you reach the crest and a trail branches right to Bear Canyon. Continue down East Fork for 1.1 miles to Sycamore Reservoir, then climb again for 1 mile towards Gordon Hirabayashi trailhead. After the initial climb the trail flattens briefly and you are faced with a choice of two trails. Both lead upward to the same place; the right-hand trail is prettier and shadier, while the left trail is marginally shorter. One more easy mile and you arrive at the Gordon Hirabayashi trailhead and your car.